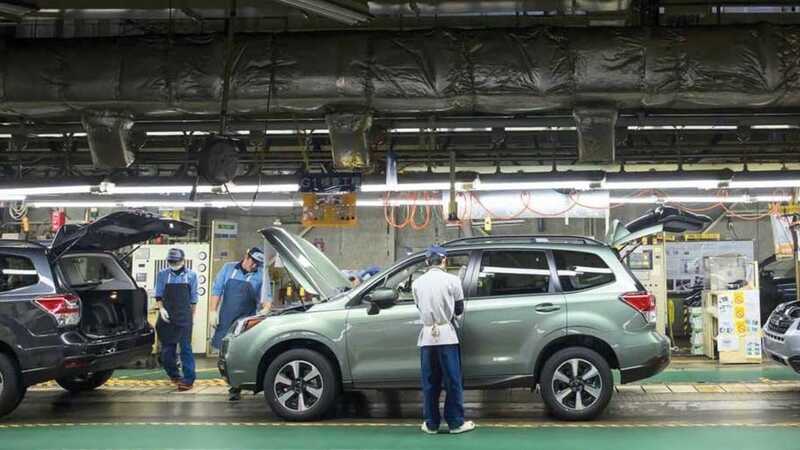 Subaru Corporation has stopped all production in Japan due to a power steering defect on 2019 Forester, Crosstrek and Impreza models. Update: All vehicles could be affected. Torque News reported yesterday Subaru Corporation shut down their Gunma factory in Japan because of a power steering component defect. The 2019 Subaru Forester, Crosstrek, and Impreza models are the models affected by the issue, but Subaru has also halted production of the Outback, WRX, WRX STI, Levorg, Legacy, BRZ and Toyota 86 as well because these vehicles use the same car body assembly line. Subaru Corp reports its only auto factory in Japan had stopped production of all vehicles as of the night shift on January 16 but was just reported for the first time yesterday. Subaru said that it hopes to restart production on Monday, January 28 at the earliest. If you have a new 2019 Subaru vehicle or Toyota 86 that was produced in late December through January 16, it could be affected. U.S. customers who have a new Outback, Impreza sedan or 5-Door model, Ascent, or Legacy are likely not affected because these models are produced in the U.S. plant. Forester, Crosstrek, BRZ, WRX, WRX STI and Toyota 86 are all built in Japan. Subaru says they are investigating whether its U.S. plant has been affected, although production is continuing for the time being. Subaru hasn't revealed how many cars have been built with the defective power steering component, but the number may be lower than normal due to a holiday production shutdown between December 29 and January 6. Stay tuned. As I understand it, it’s a part from a supplier, similar to Takata’s faulty airbags a few years ago. It's defective power steering. Back in production by Monday. This happened to my 2016 Impreza. Faulty power steering control module. I have a 2019 Forester made in November of last year. I guess I should be fine then. How do you know when yours was made? I bought one in December, but how do I figure out when it was made? I don't have that exact info, but you can assume that it wasn't made in Japan the same month that you bought it in the USA.